Get Comfortable in Middleton, WI Hotel's Charming SuitesGuests love the Staybridge Suites Middleton / Madison - West hotel's location in downtown Middleton, Wisconsin. The hotel's convenient location is only four miles from downtown Madison, where you can experience all that the area has to offer.Smart business travelers looking for hotels near Madison, WI choose us because Accuray, Epic Systems, Electronic Theater Control and the University of Wisconsin-Madison are either within walking distance or a short drive. 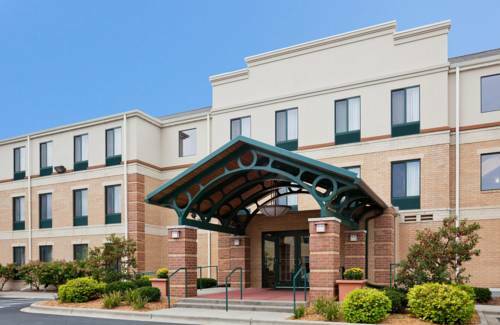 They find the free wireless internet access and a complimentary shuttle to Dane County Regional Airport (scheduled in advance with the hotel) to be of value.Offering the convenience of a home away from home, leisure guests appreciate the hotel's quick access to Madison, WI. They like being within walking distance of area restaurants and shopping, too. And after a day of shopping and sightseeing, they love returning to suites with a residential feel.Above all, the Staybridge Suites Middleton / Madison - West hotel's amenities provide corporate travelers and families with the best amenities around. Take advantage of temperature-controlled, underground parking, 24-hour fitness and business centers, 24/7 free guest laundry facilities and an indoor pool and whirlpool. Join us for the evening social hour Monday thru Wednesday for beer, wine and light meal. Make our pet friendly, extended stay hotel your choice today! The Middleton room is the largest of our meeting spaces. This room is equipped with heavy weight 2X6 foot tables and chairs, dry erase board, bulletin board and screen. It also has a wet sink counter and full wall of windows overlooking our veranda. Children's program - Library with book exchange, board games, and coloring supplies. Greenway Station is designed for the varied shopping, entertainment and dining needs of today's consumer. Be sure to ask the front desk for a coupon booklet that will save you plenty of money while you get ready for the holiday season! Hilldale Shopping Center is home to fantastic shopping, dinning and entertainment which includes stores like Macys, Anthropologie, Fair Indigo, L'Occitane, The North Face and much more! The Columbus, Wisconsin depot is staffed by an Amtrak station master, providing full ticketing and baggage handling services for both the eastbound (train #8/28 at approx 1 PM) and westbound (train #7/27 at approx 5 PM) Empire Builders. It's a "Cowlossus of Roads" - a larger-than-life fiberglass rendering of a rural milk-maker. Different hand-carved trolls line the "Trollway" (Main St.) in the Troll Capital of the World. Russian's Mir Space Station is a surprising sight in all-American Wisconsin Dells. You can walk through it, without gravity boots.